This was meant to be a joke about how little Ted knew about football, but I’ve always remembered it because it feels like the Jets are playing dress-up as a real football team. Gang Green has been a mess this season as they’ve struggled just to be 1-5. Their most recent loss was on Monday Night Football and they showed us a preview of this when they turned to Geno late in the fourth quarter. Smith is in his fourth NFL season, a contract year, and has 27 career touchdown passes accompanied by 36 career interceptions. He’s not the choice you want to make, but when Ryan Fitzpatrick has thrown 5 touchdowns and 11 interceptions so far this season… you’re stuck. The Jets are paying Ryan Fitzpatrick 17.7 times ($12M total) more this season than Geno Smith ($675K), who is now the starter. The Jets rewarded Fitzpatrick’s 2015 performance with a one-year “prove it” deal, and prove it he has not. This is seemingly the end for Fitzmagic in the Big Apple, and we’ll see if Geno can salvage anything for the Jets this season. 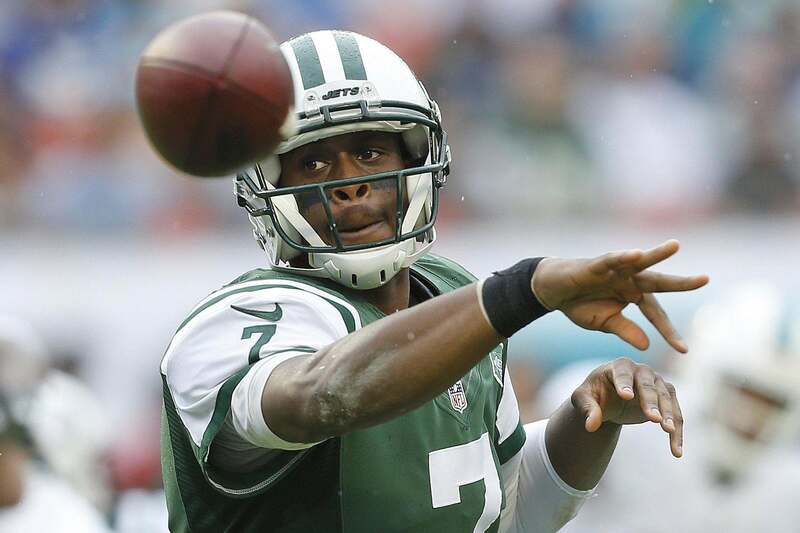 What do you make of the Jets firing up the Geno Coaster? Let us know! Comment below, Email me at RJ@RJOchoaShow.com, or Tweet to me at @RJOchoa!